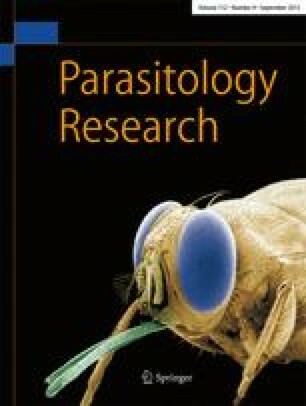 A study was developed to evaluate the influence of triclabendazole (Fasinex) and netobimin (Hapasil) the antigenaemia in sheep naturally infected with Fasciola hepatica during 16 weeks. A sandwich-ELISA (enzyme-linked immunosorbent assay) using a rabbit polyclonal IgG antibody to F. hepatica antigens was employed and the data obtained were compared to those from coprological and indirect-ELISA techniques. Triclabendazole reduced the values of circulating antigens at weeks 2–4 post-treatment and faecal output at weeks 2–8 post-treatment, but antibodies showed positive values until the end of the study. Netobimin did not reduce circulating antigens of the trematode nor egg-excretion; and IgG antibodies did not decrease throughout the study.